Mercer, the global human resources consulting firm, released its 21st annual “Quality of Living” list, which ranks cities around the world based on economic conditions, housing, health care, public services, safety, natural environment and other metrics. For the 10th year in a row, Vienna came out on top. The top US city on the list was San Francisco, all the way down in 34th place. London, the top UK city, was at 41st. When I posted some of these results on Twitter, it occasioned lots of fun discussion and debate from people appalled that Ottawa ranked so high (19th) or Seoul so low (77th) or that so many of the cities near the top of the list are so ... boring. It’s a good question! Part of the explanation is simply that Mercer’s Quality of Living rankings exist to help corporate clients make decisions ranging from “where to establish offices to determining how to distribute, house and remunerate their global workforces,” as Ilya Bonic, president of the firm’s careers business, put it. That is, the list measures where skilled managers and professionals with families, good salaries and ample benefits packages who are assigned or recruited to a new city by a multinational firm might find the transition easiest and most pleasant. Most immigrants to the US (or to anywhere) aren’t in that boat! But the notion that people all over the world are itching to move to the US and not to any other rich countries is mistaken. All but three of the countries with cities that outranked San Francisco on the Mercer list have higher percentages of foreign-born residents than the US (as does the UK, which didn’t have any such cities). Luxembourg is so tiny (population 602,005) that it seems a little silly to include here, and most of these other countries are much smaller than the US, which has far and away the largest number of foreign-born residents of any country and remains the top destination country for new immigrants. But Australia, Canada, Germany and the UK, which combined have about two-thirds the population of the US, together took in 23 per cent more immigrants from 2010-16 than the US did. There are a bunch of reasons why these disparities don’t necessarily mean that the quality-of-life rankings are wrong or that Nordic social democracy is a sham. One is that the Americans who would benefit most from Nordic social democracy — poor people — generally can’t afford to go to Europe, and they would have a hard time getting permission to stay there. By contrast, the Europeans who could benefit most from the lower taxes and higher top incomes of the US tend to be well-educated, entrepreneurial sorts who can afford to come here and often are allowed to stay. Also, most Europe-born residents of the US have been here for quite a while: 65 per cent arrived before 2000, and 36.7 per cent of those from northern and western Europe were 65 and older in 2017, compared with 14.9 per cent of the overall US population. Finally, Swedes can speak English. Few Americans speak Swedish. That language disparity gets at something crucial. Since the Second World War, the US has been the planet’s central cultural, economic, military, political, scientific and technological power. For many of those born to affluence in other countries who now live in the US, that’s why they came here: It’s where the action was. Unless they wanted to be, say, soccer stars, ambitious US citizens had far less reason to emigrate — and US citizens also had less interest in and knowledge of the outside world than the outside world had in and of them. The world is getting less US-centric, though. If you adjust for purchasing power, China now has a bigger economy. Universities elsewhere have been chipping away at US research dominance. The current US president has been actively downgrading this country’s global political role. So it stands to reason that the US might exert less automatic attractive power going forward, and that factors like quality of life might play a bigger role in determining whether people come here or not. It won’t always be quality of life as measured by Mercer. 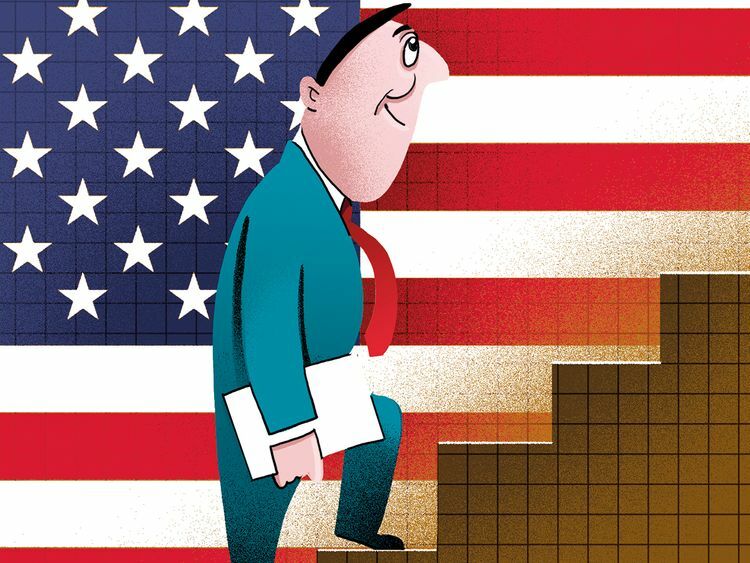 I don’t think the ranking is wrong in indicating that, for globe-trotting corporate managers and other professionals, the US is seen as a little bit of a hardship posting. The airports aren’t great; immigration and customs is a hassle; transit is weak; health care, schooling and taxes can be inordinately complicated; you might get shot; and so on. And overall, the US just scores poorly for such a rich country on most objective measures of well-being. Still, not everybody prioritises the same things. The Organisation for Economic Cooperation and Development has a fun Better Life Index that allows users to decide which metrics matter most to them. Give income and housing the heaviest weighting and the US comes out on top; put the emphasis on work-life balance and safety and it falls to 14th place among OECD members. For those hoping to stay, the US also has a good (if far from spotless) track record of integrating immigrants into its labour force and society, which can’t be said of some continental European nations. Lots of people are still going to want to come to the US. But that doesn’t mean we should ignore experts bearing tidings that we’re second-rate.